This adorable wooden tray would look great with your farmhouse or rustic decor! 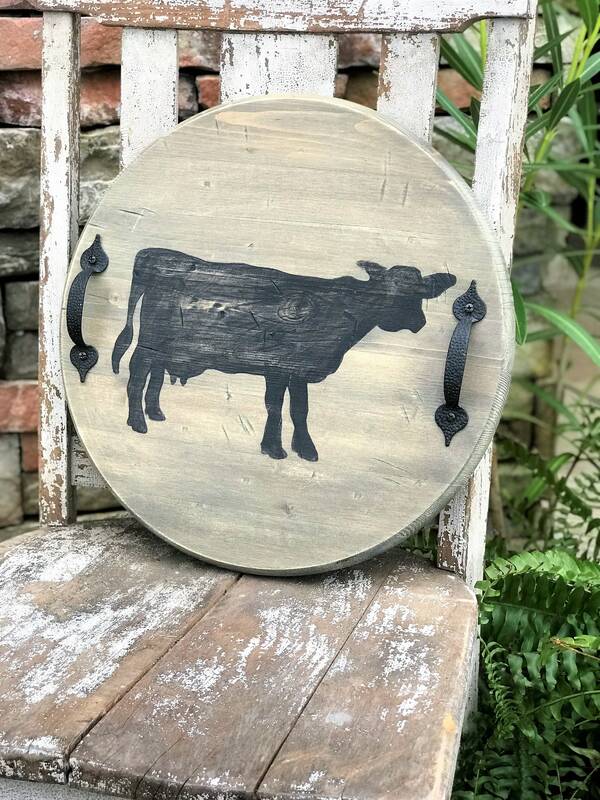 It measures 15" round, is painted a rustic gray with a cow. The handles are hammered metal in black. Made with solid pine. Oh my I am in love! I purchased 2 items from The Cranky Queen and now looking at 2 more! Beautifully made, it has been in my home just one day and already getting many compliments! I will definitely be buying more!